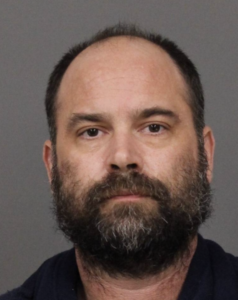 On Sunday, San Luis Obispo County Sheriff’s deputies arrived at the Cambria Fire Station, where they found Jeremy Ian Preston’s 9-year-old daughter with her mother. The mother said Preston was heavily intoxicated earlier that day when he got into an argument with his daughter. Preston allegedly picked up a sweatshirt and swung it at the girl’s head three to five times. The zipper on the sweatshirt injured the girl and caused her head to bleed profusely. The Cambria man allegedly ordered the mother and daughter to leave his house. They did and called 911 from a friend’s house. Deputies found Preston at his home and arrested him without incident for inflicting corporal injury upon a child. Deputies booked Preston in SLO County Jail. In Feb. 2017, Preston crashed his truck into the French Corner Bakery in Cambria, injuring five customers who were inside the business. Preston ran a stop sign and hit a parked truck prior to crashing into the bakery. Officers found a half-empty bottle of vodka inside Preston’s vehicle, but a breathalyzer and blood alcohol test came back negative. The Cambria man reportedly told officers he had taken a sleep aid, anti-seizure medication and an anti-depressant just prior to the accident, and he had recently blacked out while driving. CHP officers arrested Preston for DUI. Prosecutors, though, opted to charge him with reckless driving. In addition to the reckless driving case, Preston is also facing a charge over an Oct. 2016 incident in which he allegedly destroyed an archeological structure in a state park. Preston is due to appear in court over both the reckless driving and destruction of an archeological structure charges on Dec. 4. As of Wednesday morning, Preston remains in the SLO County Jail with his bail set at $50,000. How is guy still on the street? Is it just me, or does it seem like 1% of the population cause 99% of the problems? Doesn’t a sleep aid specify NOT to drive after taking the medication?